St.Thomas and Prince 1903 25r Carmine. SG1903. Fine used 1903 25r Carmine. SG1903. St.Thomas and Prince 1911 5r Orange. SG1911. 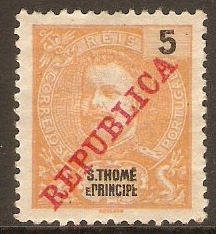 Mounted mint 1911 5r Orange. SG1911. 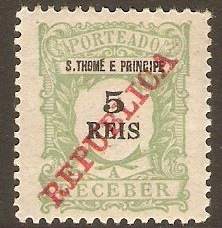 St.Thomas and Prince 1911 5r Yellow-green - Postage Due. SGD137. Mounted mint 1911 5r Yellow-green - Postage Due. SGD137. St.Thomas and Prince 1912 50r Blue. SG142. Some damage 1912 50r Blue. SG142. NOTE: Large area of gum loss. St.Thomas and Prince 1920 ¼r Brown-olive. SG280. 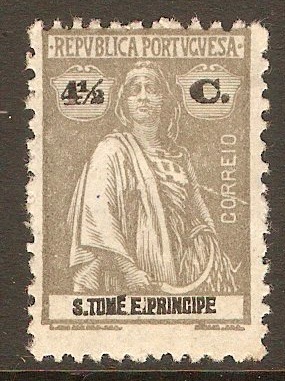 Used 1920 ¼r Brown-olive. SG280. St.Thomas and Prince 1920 ½r Black. SG281. 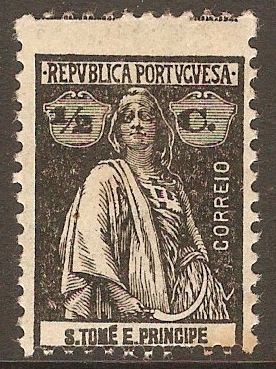 Mounted mint 1920 ½r Black. SG281. St.Thomas and Prince 1920 3c Orange. SG287. 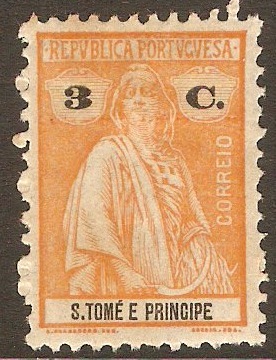 Mounted mint 1920 3c Orange. SG287. St.Thomas and Prince 1920 4c Dull claret. SG288. 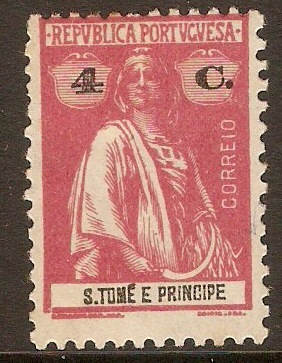 Mounted mint 1920 4c Dull claret. SG288. St.Thomas and Prince 1920 4½c Drab. 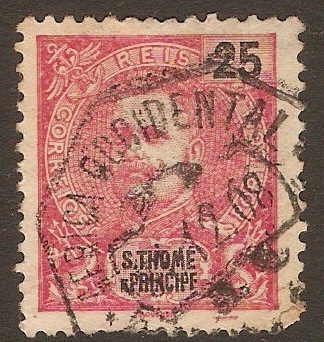 SG289. 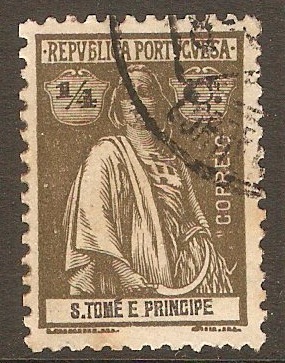 Mounted mint 1920 4½c Drab. SG289. 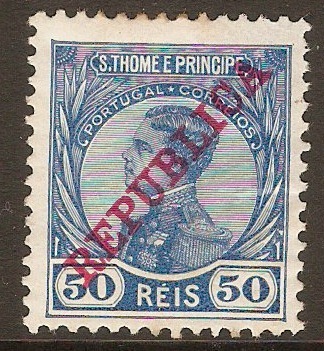 St.Thomas and Prince 1920 5c Pale dull blue. SG290. 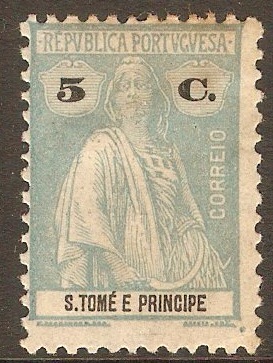 Heavy mounted mint 1920 5c Pale dull blue. SG290.